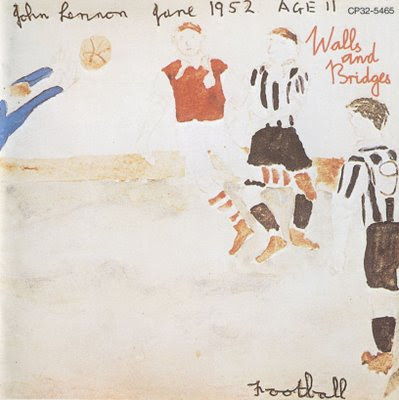 Walls and Bridges is the fifth album by John Lennon, issued on 26 September 1974 in the United States and on 4 October in the United Kingdom. Written, recorded and released during his 18-month separation from Yoko Ono (June 1973–January 1975), the album captures Lennon in the midst of his "Lost Weekend". Walls and Bridges was an American Billboard number one album and featured two hit singles "Whatever Gets You thru the Night" and "#9 Dream", the first of which was Lennon's first number one hit in the United States as a solo artist, and his only chart-topping single in both the US and Britain during his lifetime. The album was certified silver in the UK, and gold in the US. All songs were written by John Lennon, except where noted. Thank you very much for this gift !!! Lennon the great master !! !